Discover the centuries-old tradition of falconry and enjoy the sight of the most majestic hunters of the sky with Wild Flight. 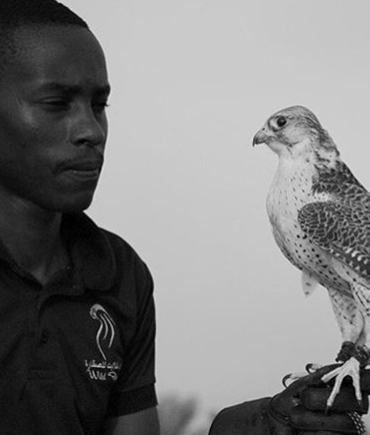 With specialised shows that display the magnificence of these mighty falcons, we are the ideal destination to personally experience the sport of kings-falconry. Wild Flight is also a pioneer in natural bird control, using falconry techniques to regulate the flocks of pest birds that are nesting in your area. 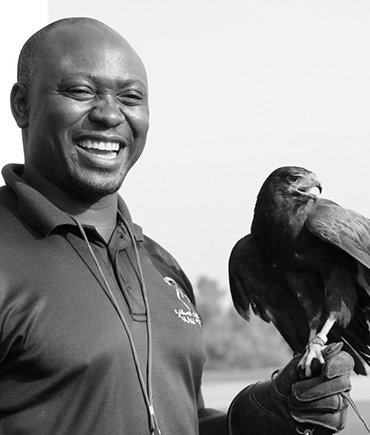 Our team consists of highly-skilled falconers with considerable experience in tourism and corporate fields. Ruan’s passion for falconry dates back to school days where he trained and rehabilitated various species of birds of prey. With a cinematography background in wildlife filming and editing from the Wildlife Film Academy in Cape Town, South Africa, Ruan produced documentaries for various production companies and broadcasters, including Animal Planet. He has been involved in falconry and has successfully hunted with birds of prey for a number of years in his home country. His passion for birds of prey grew and he decided to broaden his knowledge on Arabian falconry by relocating to Dubai in 2011. Soon after, he introduced Wild Flight’s services in the Middle East in partnership with a friend. Brownie was born in the remote village of Rushinga in Mashonaland, Zimbabwe. At the age of 18 he began working for a well-known bird park and owing to his love and passion for birds the owner of the bird park helped him grow and taught him falconry. He was then promoted to Head Bird Park Curator where he conducted daily falconry displays and acted as guide for visitors to the park. He held this position for eight years. He then moved to South Africa, worked there for eight more years as a Display Falconer at a renowned bird of prey centre. During that period, Brownie had the opportunity to learn techniques in handling animals and managed to work with lions and cheetahs for a couple of years, before returning to his home country in June 2010. 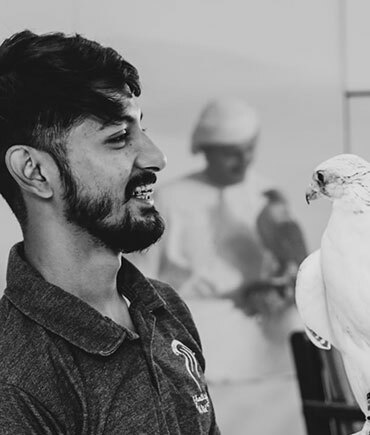 Through the years, he flew various birds of prey and it is this interest and passion for them that has brought him to the UAE to join Wild Flight. Starting out as a senior falconer, his passion, knowledge and overall experience with birds of prey has seen him grow into to a managerial role. 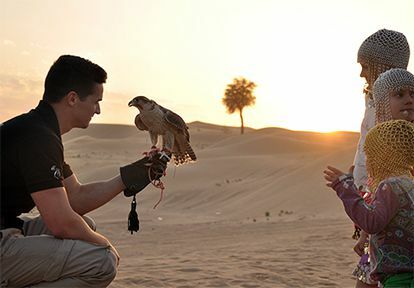 Mitchell’s passion for falconry started in the UAE while he worked for Al Maha Desert Resort which offered falconry as one of the activities. He was fortunate to learn from some experienced local falconers as well as spend time with 2 reputable falconers in the UK while working for the company. Moving on from there he worked for falconry companies doing bird abatement as well as shows at various hotels and tourism establishments in Dubai. He left Dubai to go back to South Africa where he was the show manager for a bird park in Johannesburg where he was exposed to working with many other species of birds. Here he gained valuable insight on training birds. He returned to Dubai a few years later to manage falconry shows at another desert resort for 3 years. It has eventually lead him to Wild Flight where he now manages our operations in the Northern Emirates. From an early age Werner had great passion working with wildlife. He obtained a Degree in Nature Conservation in 2006 and shortly after became a qualified field guide as well. After several years of working in wildlife conservation, he decided to broaden his horizons in 2011 and took up falconry in the UAE. He has not looked back since. 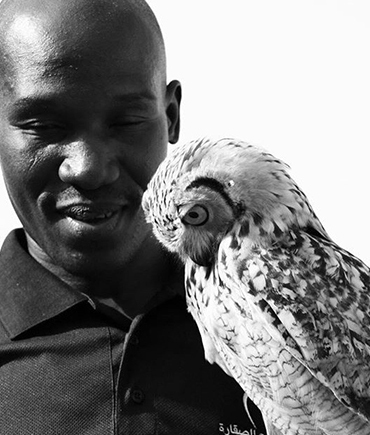 Machona started flying birds of prey in 2000 at a well-established bird park in Zimbabwe, where he met Brownie Kapunha who inspired him to delve deeper into learning more about these majestic raptors. He managed a mews with many different kinds of birds of prey, from falcons to vultures. 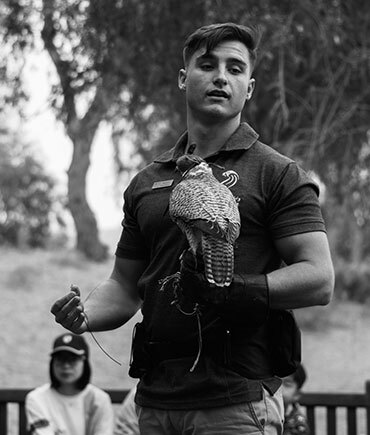 Machona was also a display falconer, entertaining and educating interested members of the public and tourists, and trained and flew eagles, hawks, falcons and even owls. He moved from Zimbabwe to South Africa in 2006, where he worked at the first birds of prey centre to be established in South Africa. He grew more as a display falconer and visited hundreds of schools spreading awareness and the need for conservation of birds of prey. 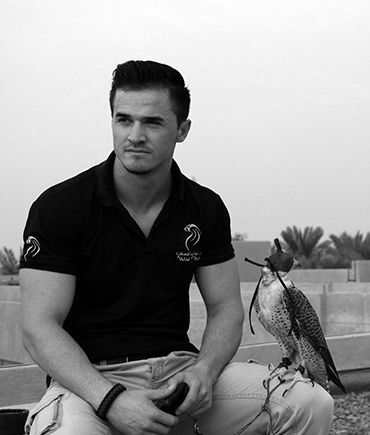 In 2014, he moved to the United Arab Emirates to be a part of the Wild Flight team as a senior falconer. Thabo has worked for many years as an animal handler in his home country, South-Africa. He began his career in 2007 at the Zanna Bird & Reptile Park where his passion grew strongly over the years. In 2001, WildThingz Bird Park approached him with an offer as reptile handler. 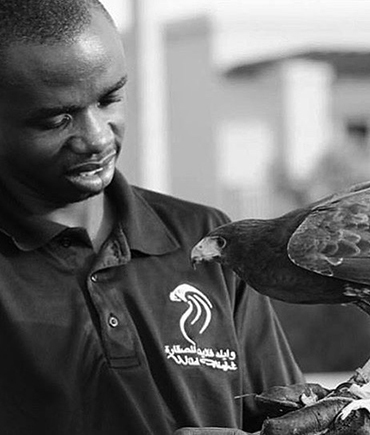 His journey in wildlife handling led him to work with Ruan, the now Managing Director of WildFlight Dubai. After a couple of years, Thabo was promoted to park supervisor. His knowledge increased and so did his passion for falconry. In 2010, his leadership abilities were recognised and he was shortly after promoted as WildThingz park manager. He continued managing the park over the next five years when he was approached by Wild Flight and offered a position as a falconer. 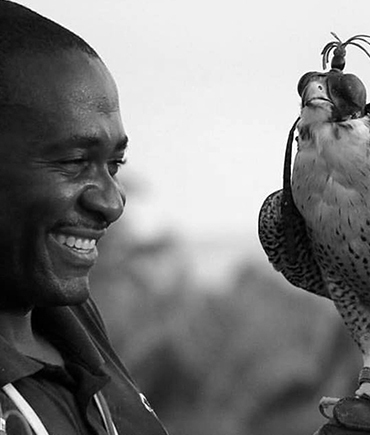 Collen has been flying birds of prey since 2008, after joining the Zimbabwe Falconers’ Club. From that time on, he has successfully flown a number of raptor species. In 2012, he began working at Kuimba Shiri Bird Park where he practiced falconry on a full time basis, as a handler and a mews keeper. 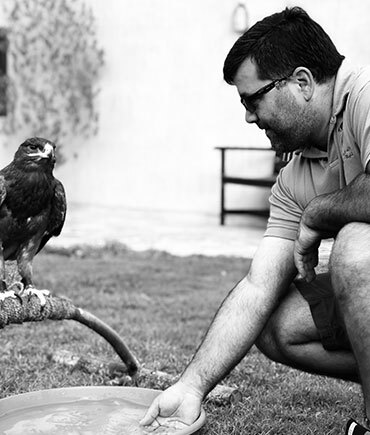 In 2014, Collen moved to Raptor Force in Cape Town where he was involved in bird abatement followed by a longer stint at Eagle Encounters in Stellenbosch as a display falconer. He was offered the opportunity to join the Wild Flight team which he enthusiastically accepted, eager to broaden his knowledge as a falconer and to enjoy his passion for the art form to the fullest. Born in Norton, Zimbabwe, Darlington began working with animals in the year 2009 at a bird sanctuary as a young volunteer. He was then offered a full-time position as a bird handler, and a guide soon after. After 3 years, he was offered the opportunity to work in a safari lodge where he worked as a field guide. After obtaining more knowledge in animal training, he decided to progress with his career. 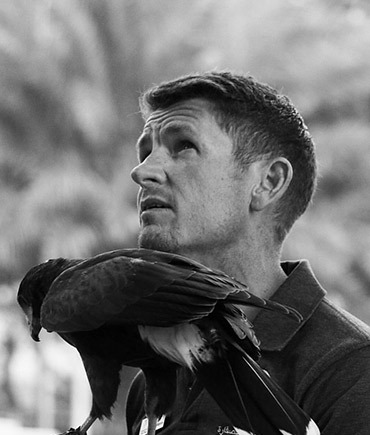 In May 2016, he was invited to join the team at Wild Flight Dubai, working full-time with birds of prey. Darlington has shown a natural ability and intuitive understanding of raptors, and is a valued member of the display team. Mohamed joined the WildFlight team early 2017. Originally from Islamabad, Pakistan, he comes from a culture with a rich falconry tradition and heritage. Mohamed plays a key role in the team by attributing an authentic Arabic sense to our display team. Fluent in both Urdu and Arabic, he can confidently communicate with the local community. We are expecting great things from him in the future. Leandri was born in the countryside close to Cape Town, South Africa. She has always had a passion for animals and the outdoors, and decided to attend Nelson Mandela Metropolitan University to study Game Ranch Management. 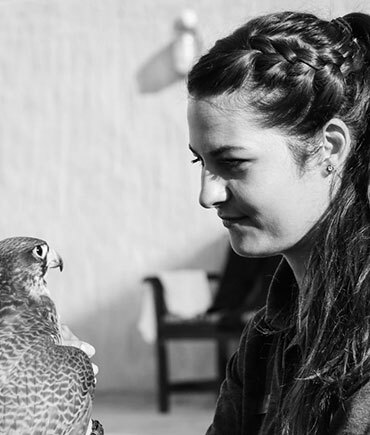 After obtaining her diploma, she worked on various game farms and lodges across South Africa, before moving to Dubai in 2018 to pursue her childhood dream of working with birds of prey. 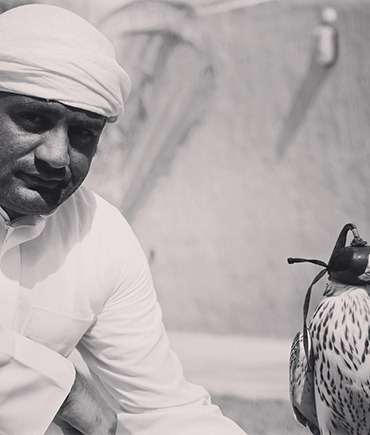 Ibrahim who is born and raised in the United Arab Emirates naturally followed the role as a professional falconer since the age of 16. After several years of training falcons for the UAE falcon races he has chosen to join the team in the commercial field. Bilingual and passionate Ibrahim brings the authentic touch to each experience. Having grown up in Zimbabwe and Kenya, Patrick was exposed to wildlife throughout his childhood. Being a Professional Guide, his father instilled in him a love for animals. This inspired his passion for conservation. He began falconry while he studied at the well-known Falcon College in Zimbabwe. Given his upbringing and love for wildlife, falconry came naturally to him and soon became his passion. “The ability to persue a career in falconry, training and working with birds of prey on a daily basis would be a dream come true”. This mindset is what led Patick to the WildFlight team.